technological brilliance and unique because its starting point is every woman's skin. Renowned scientist and unequalled visionary, Jean Michel Karam created IOMA in 2010 with one thing in mind : " an effective skincare, one which is above all made for you and for your skin". If this doctor of micro-electronics was going to invest in cosmetics, he would need to provide personalised skincare with proven effectiveness on the only skin that counts for us: yours! Today, with more than 2300 skin measuring devices in the world, which are available to skin research and analysis laboratories, to leading dermatologists and certain pefumery and chemist chains, IOMA has at its disposal more than 1 million skin diagnosis. 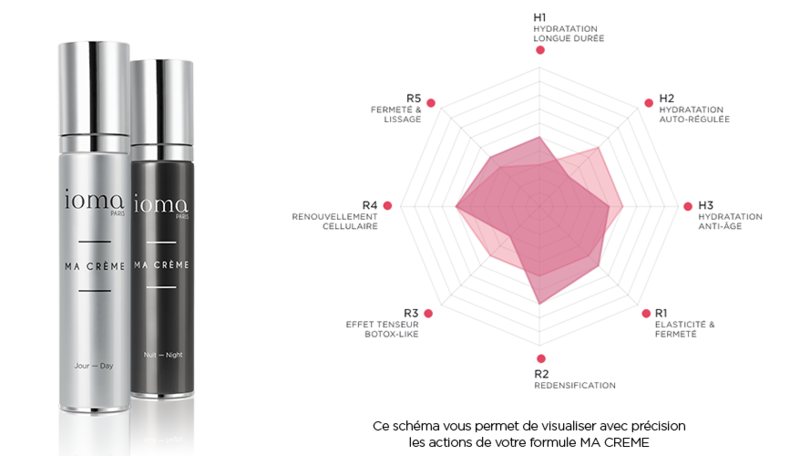 It is this exceptional knowledge collected in the IOMA Atlas Of The Skin, which makes each IOMA skincare possible and guarantees record efficiency. 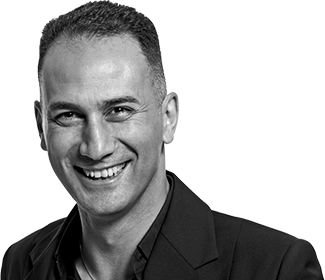 Today, Jean Michel Karam still presides over the brand, determines its development strategy and invents the cosmetics of tomorrow. « Our philosophy is completely focused on the consumers, their experience with us, their feelings, the evolution of their skin and their needs, day after day. Today we are the leading brand in personalized cosmetics. But we could not stop there. Nothing exceptional ever comes from being in a comfort zone... We wanted even more In.novative, more In.telligent, more In.dispensable, more In.escapable, more In.spiring. The memorisation of data to create an authentic before and after. 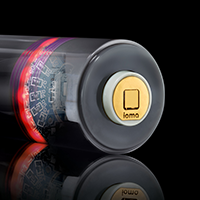 100% developed and manufactured in France by IOMA. Protected by more than 15 patents. A Lab.oraotry In.finitesimally small. Once the skin diagnosis is made ... IOMA In.Lab takes over to carry out the live lconditioning very precisely! … see the conditioning of my unique MA CREME following its diagnosis. … see the conditioning of MA CREME according to the 6 pre-formulations integrated in In.Lab (3 day and 3 night). 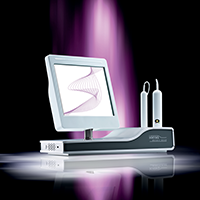 The most highly developed diagnostic device in the world. Skin measurements in seven dimensions for a personalised prescription. 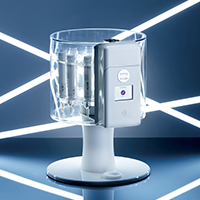 The combined macroscopic analysis by multi-spectral Imagery with 6 photographs and microscopy with 2 probes, provides you with all the data necessary to act on the needs of your skin. 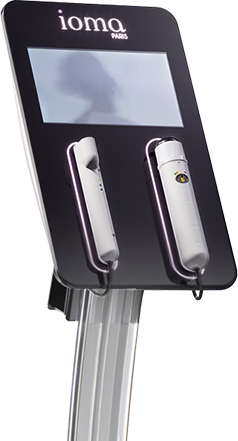 IOMA Mirror, the latest generation of high-tech skin diagnostic devices enables a fast and complete analysis of the skin. 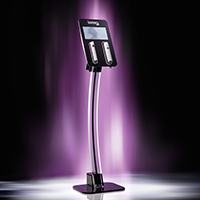 In less than 3 minutes, you obtain a skin analysis of unrivalled precision with indisputable conclusions for your IOMA Personalised Beauty Combination™. 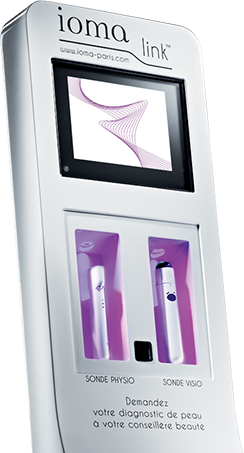 The IOMA Link, a high-tech diagnostic device is available in perfumeries and offers a complete and fast analysis of the skin. 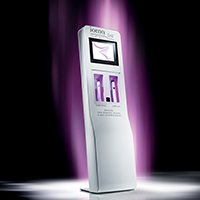 In less than 3 minutes, you obtain a skin analysis of unrivalled precision and unquestionable results for your IOMA Personalised Beauty Combination™. 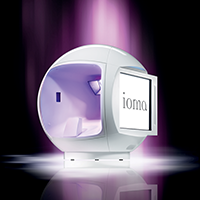 Designed for beauticians, IOMA Beauty Diag offers complete skin analysis in beauty rooms. In less than 5 minutes, the beautician carries out a scientific skin analysis to determine precisely the most suitable beauty room facial. 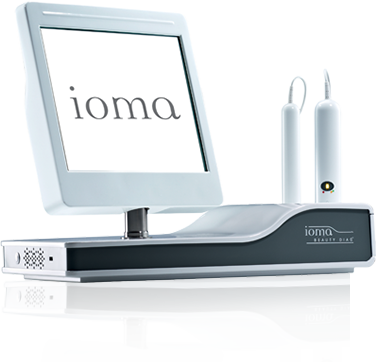 A comparative analysis at the end of the treatment reveals the results and recommends your IOMA Beauty Combination™. 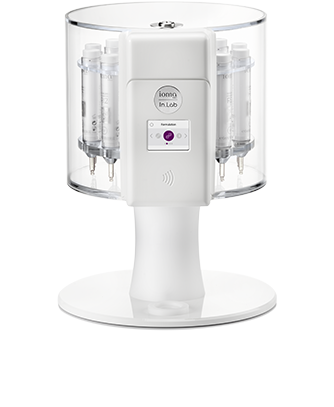 A world first and patented, the on-board MEMS technology in your treatment becomes your daily beauty coach. 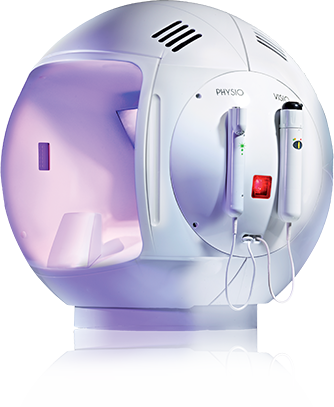 Thanks to its microelectronics and on-board MEMS sensors, all women are able to optimise the benefits of the treatment daily whilst at the same time seeing for themselves how effective it is on their skin. 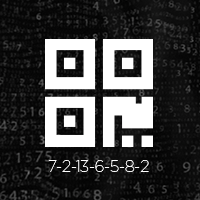 Your unique skin code is one of a 170 million possible profiles. With IOMA you are unique. 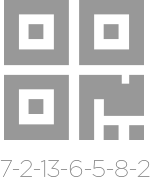 IOMA SkinCode™ : this key figure summarises the position of your skin on the 7 measured dimensions, each one ranging on a scale from 1 to 15 with 1 being perfection and 15 advising that care and attention is needed. Follow the evolution of your skin with your SkinCodeTM after each IOMA Personalised Treatment. 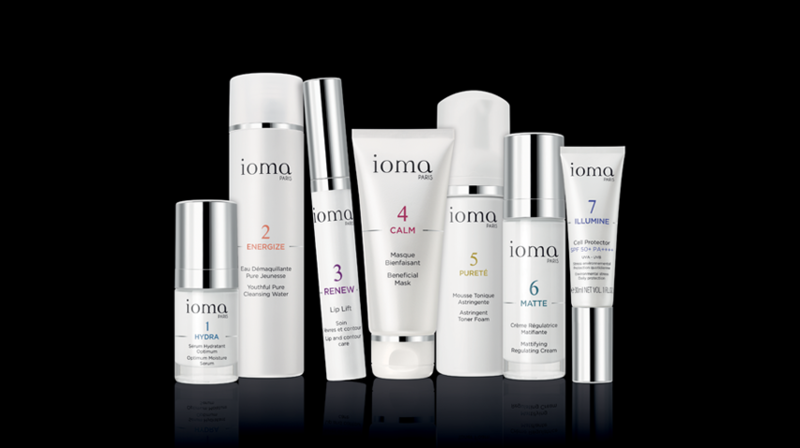 Each woman is unique, each skin is different, each IOMA Beauty Combination™ is personalised. After the analysis, IOMA offers a unique prescription and one which is unique because it is personalised : the Beauty Combination™. —	A selection of treatments from the 7 ranges for an expert and complete beauty ritual. —	The MA CRÈME formula from 40 257 day formulas and 40 257 night formulas.. The IOMA Skin Atlas consists of more than a million synthesised, collated and scaled skin diagnostics. 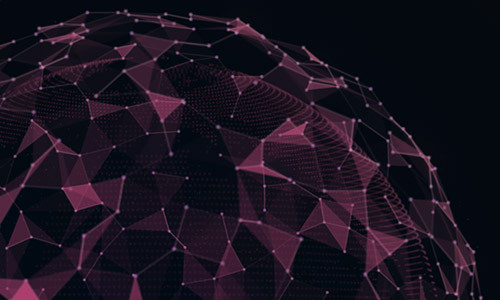 The DNA of IOMA research and scientific and technological innovation as a whole, this database is absolutely unique as much for the wealth of its content as for its active and evolving nature. Every day, the IOMA Skin Atlas is enriched by the results of 2300 diagnostic devices spread across the world.